This is a powerful meditation focused on your solar plexus. A woman with an open and balanced Solar Plexus Chakra has confidence in her ability to do something well, values herself and her work. She loves and accepts herself, is willing to express herself in a powerful way, she knows that she has the freedom to choose to be herself and direct her own life. 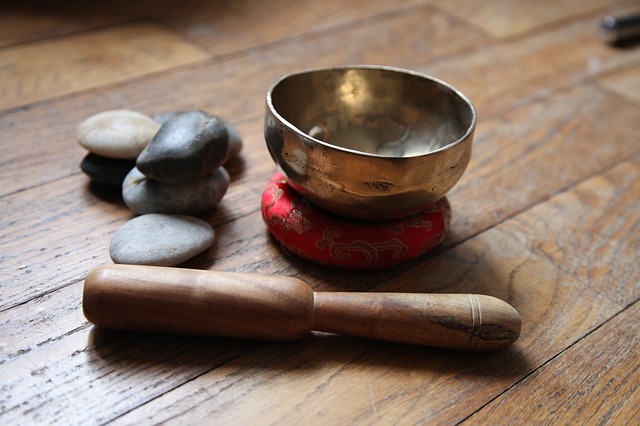 It contains some singing and singing bowl playing towards the end of the 26 minute meditation. "I wanted to share my experience of Tricia's Solar Plexus Chakra healing... all I can say is WOW, this was one of the most powerful shifts I've felt during a meditation. I found it easy to settle into it and felt my body responding powerfully to Tricia's voice and words. Reflecting back on some of the effects has allowed me to understand what's holding me back and blocking my confidence. I"m learning to trust what my hear tells me and I'm looking forward to seeing the full benefit of this audio over the coming days and weeks." Please note results may vary and as a digital download, there are no refunds offered on this 26 minute track.